BOSTON, MA -- (MARKET WIRE) -- November 4, 2005 -- Emerge PR, a new independent public relations firm for emerging market leaders, formally launched today with a team of seasoned PR professionals and a roster of high-tech clients already in place on Day One. Emerge PR brings together two of the region's most respected PR professionals as its co-principals: Mara Bartucca and Catherine Marenghi. With 18 years' experience, Bartucca has helped hundreds of companies navigate early market challenges. Prior to co-founding Emerge PR, Bartucca spent 11 years with Horn Group, a national technology communications firm, where she launched the company's Boston office in 1996. While serving as a partner in the agency, she drove PR and marketing strategy for market leaders such as Cognos, Harte-Hanks, Netegrity, PeopleSoft, and Sophos. She also worked with best-selling business authors Geoffrey Moore ("Crossing the Chasm" and "Inside the Tornado"), as well as Patricia Seybold ("Customers.com" and "The Customer Revolution"). She founded Dark Horse Consulting, a strategic marketing firm, after leaving the Horn Group in 2004. Marenghi, co-principal, has 25 years' experience in public relations, writing and consulting. She founded Marenghi Public Relations, an award-winning high-tech agency, in 1992. Her clients have included industry thought leaders like Forrester Research, IDG, Giga Information Group, and Computerworld, as well as dozens of enterprise software, media, telecommunications, consulting, and service companies. Formerly a senior editor at Computerworld, Marenghi has written extensively and has ghost-written two business books. The Marenghi PR agency name was formally retired as of October 31, 2005, with Marenghi and most of her staff now part of Emerge PR. 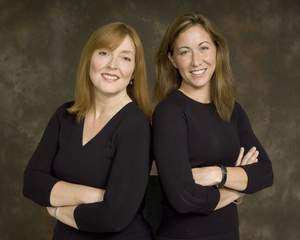 Emerge PR also brings together the combined clients of Marenghi PR and Bartucca's former firm Dark Horse Consulting. Emerge PR's charter clients include Aspect Software, Churchill & Harriman, Enderle Group, Fulgent Media, Patricia Seybold Group, Red Bend Software, Reflectent Software, Sento Corp., SoundBite Communications, and Vertical Communications. "Emerge PR is the most experienced 'new' firm in the high-tech industry and will be a smart choice for both emerging and established technology companies," said Bartucca. "Emerge PR is an innovative new company that will redefine the traditional public relations agency model, both in terms of client service and agency management." "I'm delighted to be working side by side with Mara, who shares my commitment to excellence in client service while building a great place to work, and we have both been fortunate to have had many long-term client and employee relationships. With our combined strengths, Emerge PR will be a serious contender for technology-driven clients nationwide," Marenghi added. "We selected Emerge PR for their vertical market knowledge and strategic approach to public relations," said Lisa Landa, vice president of marketing for Vertical Communications, a leading IP-PBX and voice applications company based in Cambridge, Mass. "We look forward to growing our business as they grow theirs." Emerge PR will offer an array of services including strategic planning, positioning, proactive media relations, analyst programs, speaking, awards, and other services. It begins operation with a dozen professional staff and a growing group of PR contractors and marketing partners worldwide known as the Emerge Collaborative. Founded in 2005, Emerge PR is an independent public relations firm for emerging market leaders. The firm's principals, Mara Bartucca and Catherine Marenghi, have a combined 43 years' experience in high-tech marketing and communications. The firm is headquartered at 300 Congress Street, Suite 204, Quincy, MA 02169, 617.729.3170. More information is available at www.emergepr.com.